New Delhi, June 29, 2015: We all have a friend who is a know-all foodie, another one who understands medicine, and one more who is expert at DIY on home repair stuff. As mobile and socially-connected consumers, we need something beyond the utilitarian approach when searching for the right local restaurant, doctor, plumber etc. We need an approach that helps deal with the painful experiences associated with local search. Socially powering our pursuit for the right service provider is Toost, a mobile application that helps us get right service quality and experiences with just a few taps on our mobile phones. 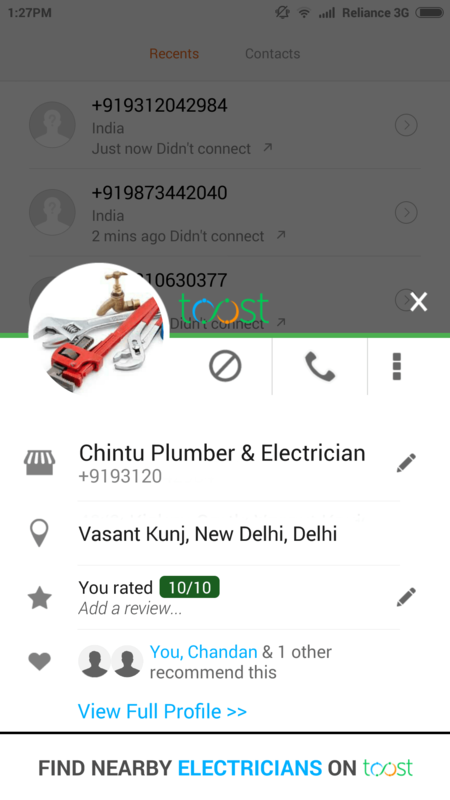 Toost has transformed humble end-call screen into powerful rating and review engine where businesses can be rated in just couples of seconds. Besides viewing ratings from current friends, Toost allows us to broaden our network of friends on the app to get recommendations from more trusted connections and people who are connected with the business. The Activity Feed lets you see what friends and acquaintances are doing and help discover businesses we might want to deal with.. 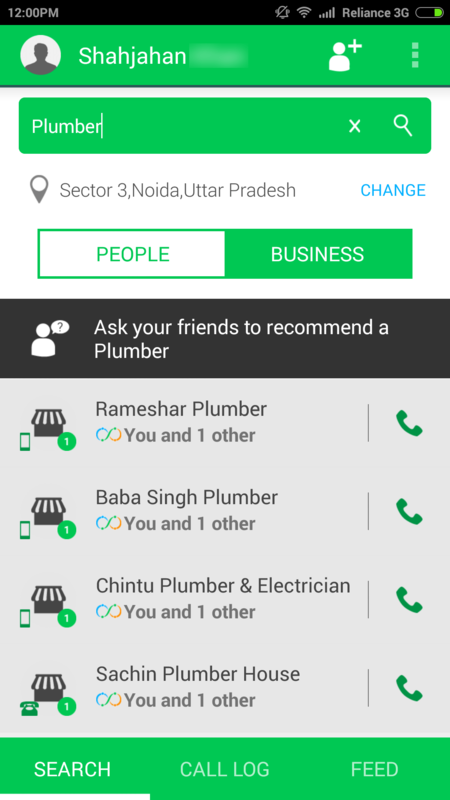 It allows you to check out common friends that you may have with a particular business or individual , complementing the ability to search for people and numbers on the app. The globally unique mobile phone graph based approach behind Toost reflects more substantive relationships. It brings to life connections that are deeper than those between casual social network acquaintances or aspirational followership. This ensures a greater degree of trust in the recommendations that are being made on the app. The community-driven approach involves reviews and ratings by the Toost community which help others decide whether they wish to transact with a particular business or not. Users can also report inappropriate content, incorrect details, and mark a business as spamming to alert others in the community. 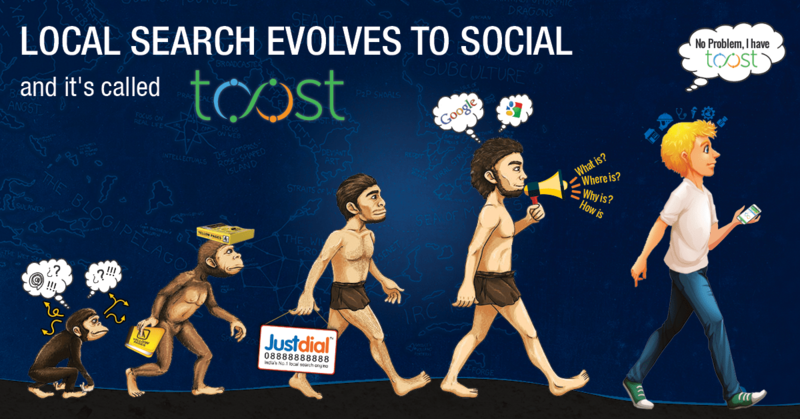 Toost leverages all the benefits of technology-powered social + mobile connections to deliver the most convenient, effective and reliable local search experience on your phone!